Tuesday, August 7th is Election Day. Make sure to get out and vote! Primary candidates for city, state, and federal offices as well as two propositions, the so-called “right to work” initiative and a city bond issue, are on the ballot. Find your polling place here. Gravois Park‘s monthly meeting is Tuesday, August 14th. They meet at 6pm in the old Jefferson Bank building at 3353 California, just north of Cherokee Street. Dutchtown West meets the same night, August 14th, at 7pm. Their meeting is in the banquet hall at Grbic, 4071 Keokuk at Meramec. The Cherokee Street Business Association meets at Nebula on Thursday, August 16th at 5:30pm. Marine Villa‘s meeting is on Monday, August 27th. The meeting starts at 7pm and is in the back at Irish Corner Pub on the corner of Cherokee and Lemp. Learn about the city’s Commercial Facade Improvement Grant program at an informational session on Monday, August 6th at 10am. Businesses can apply for up to $20,000 to improve their facades. RSVP here. On Tuesday, August 7th, Thomas Dunn celebrates National Night Out with Teen Open Mic. Ages 13–21 are welcome to join this family friendly event featuring snacks, drinks, and prizes and hosted by Storystitchers.org. The event runs from 5pm to 8pm. Sip ‘n Sketch is Wednesday, August 8th at 7pm. All skill levels are welcome to a live drawing workshop where participants will have a chance to work with various materials and techniques. Materials are provided but BYOB. Thursday, August 16th from 7pm to 9pm is the Cat on a Hot Tin Roof Art Reception. Celebrate animals in art and enjoy finger sandwiches and mint juleps. $5 raffle tickets for a Purina basket of cat products (valued at $125) will be sold. The drawing for the basket will be held on the night of the event. Starting Thursday, August 23rd, Thomas Dunn and the YWCA are collaborating on a racial equality program called Witnessing Whiteness. Witnessing Whiteness groups are white people coming together to do work around racism in a supportive, non-threatening setting, learning to speak about race and racism, exploring white privilege, and doing your own internal work around racism. The group will meet every Thursday at 6pm. Marquette Community Day is Saturday, August 4th. Come down to the Rec Center for free food, loaded backpacks, free haircuts, enrollment in tutoring and after school programs, and games and giveaways. Marquette Community Day is from 11am to 4pm. The Cherokee Street Community Market returns to Love Bank Park on Wednesday, August 8th from 4:30pm to 8pm. Enjoy hot food, fresh produce, art, live music, and the company of your neighbors. Urban Eats hosts the South City Board Game Meetup every other Friday (August 10th and 24th) from 6pm to 11pm. The DT2 Meramec Shop About is happening on Wednesday, August 15th. Shops will stay open until 7pm. Afterward head to Urban Eats for sangria and prizes. The South City Sipsters meet at the Feasting Fox on Thursday, August 16th to sample beer and wine. Check our event page in the near future for more details. DSCC‘s Community Empowerment Committee continues to work toward their goals of housing justice and tenant organizing at their monthly meeting on Wednesday, August 29th. The meeting is at 6pm at Thomas Dunn Learning Center. Dinner and child care are provided. Make sure to check our calendar for updates, sign up for our mailing list, and follow us on Facebook, Twitter, and Instagram. If you have an event in Dutchtown, Gravois Park, Mount Pleasant, Marine Villa, or Cherokee Street that you’d like us to share, please contact us or email info@dutchtownstl.org. This post was updated on August 3, 2018 . 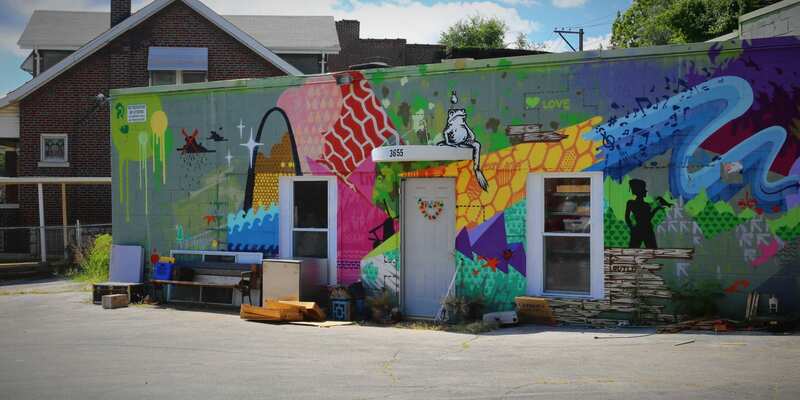 Read more news about Cherokee Street, Classes, DT2, Dutchtown, Dutchtown CID, Dutchtown Events, Dutchtown South Community Corporation, Dutchtown West, Gravois Park, Marine Villa, Marquette Park, Meetings, and Thomas Dunn Learning Center.